The Brits are considerate. Three Contemporary Art Auctions in London, all held before the 4th of July! Bets are on as records are anticipated to be broken in Sotheby's Contemporary Art Evening sale! Last week Barnebys Journal featured two articles on the two most publicized items. The Francis Bacon triptych portrait of his burgler-turned-lover George Dyer, a type of lot would have sold for under $4 million ten years ago but should fetch between $20 and $33 million during today's sale and Scottish artist Peter Doig's Country-Rock (Wing Mirror). A contender for the world record price for a British artist at auction currently held by Damien Hirst's Golden Calf, sold at Sotheby's in 2008 for $17.3 million. 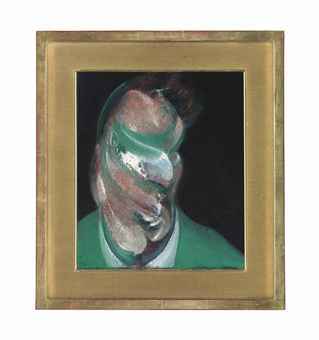 Two other works by Bacon are available in the sale: Study For Portrait of PL, No 1 estimated at $7.5 million (1957) and Seated Man, expected to reap between $2.5 and $3.4 million (1957). 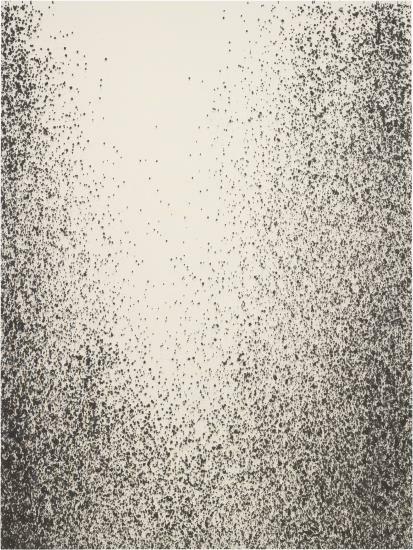 Other artists included in the 59 lot sale are Lucio Fontana, Adriana Varejao, Gerhard Richter, Cindy Sherman, Rosemarie Trockel and Chris Ofili. YBAs are a regular feature in Contemporary Art auctions, several pieces by Damien Hirst are offered at both Sotheby's and Christie's, pieces by Rachel Whiteread, Jenny Saville and Martin Creed are offered only in the latter's 79 lot sale. Phillips 29 lot sale includes an Andy Warhol 'fright-wig' Self Portrait from 1986, if the piece sounds familiar it's because a much larger pink version was recently sold for $39 million by Skarstedt at Art Basel. This smaller blue piece (22 x 22 in.) is estimated at the smaller price of $4.3- $6 million. The sale also includes younger artists such as Wade Guyton (b. 1972), Kaws (b. 1974), David Ostrowski (b. 1981) and Lucien Smith, all Americans. Smith is the youngest of the lot, born in 1989. The market for Smith's work has rapidly inflated, 23 of pieces have been sold at auction since his auction debut in November 2013 when Phillips sold a canvas he made as a student at Cooper Union entitled Hobbes, The Rain Man, and My Friend Barney / Under the Sycamore Tree at double its high estimate. Three days later, Sotheby's sold a piece for four times its high estimate at $100.000. Phillip's has a mesmerizing acrylic on un-primed canvas titled Boys Don't Cry on offer with an estimate of $68.400 - $102.600.